Horse trams: 8 June 1878 - 23 July 1899. Electric trams: 15 June 1899 - today. 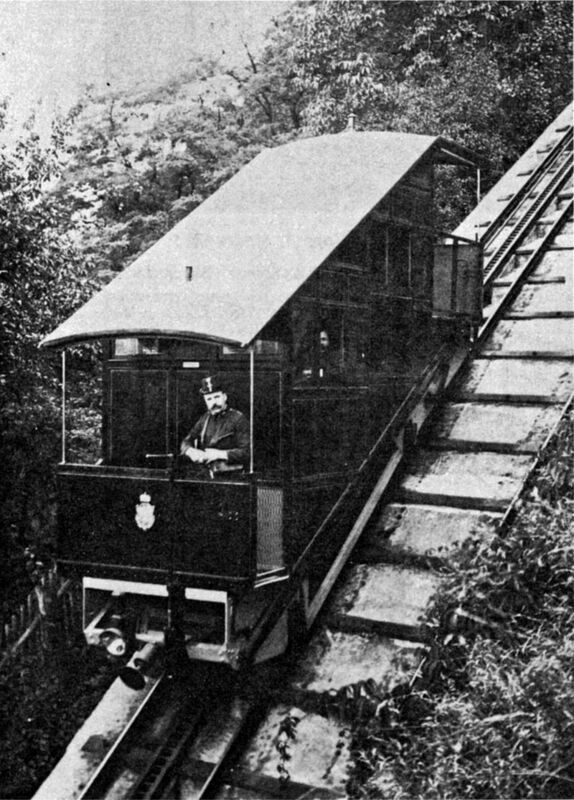 Funicular (Schloßbergbahn): (Steam:) 25 Nov. 1894 - 3 Sept. 1899; (Electric:) 12 Apr. 1899 - today. The Tramway Museum Graz in Mariatrost, at the eastern terminus of tram line No.1, runs horse-drawn and electric trams at its site. Buckley, R.J. "Graz: A case of arrested development", Tramways & Urban Transit, Oct. 2003 (66: 790), p.369-372. 75 Jahre elektrische Strassenbahn in Graz. 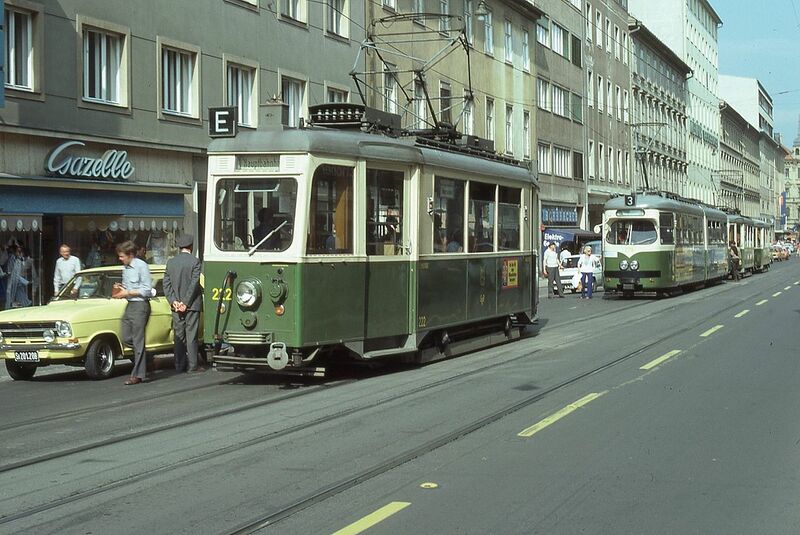 Graz: Verkehrsbetriebe der Grazer Stadtwerke AG, 1974. Pulling, N. "Systems Factfile No.71. 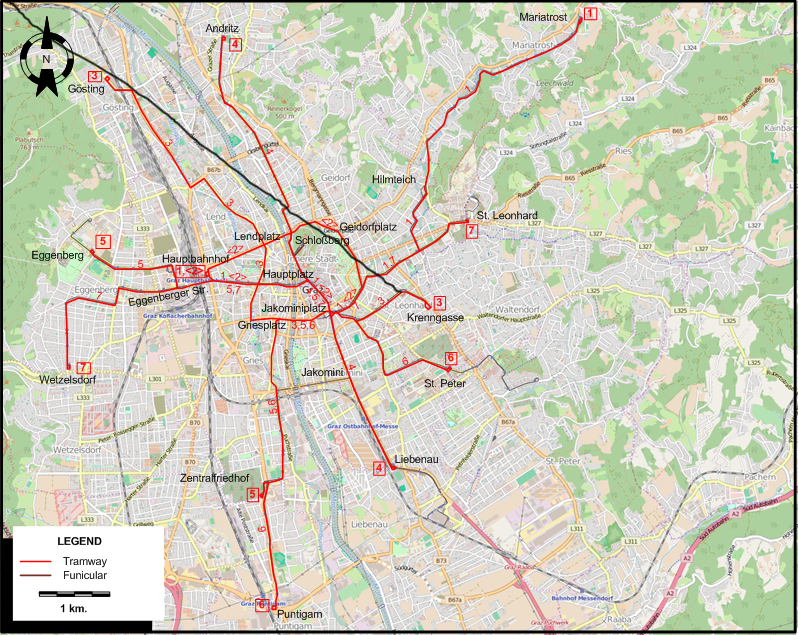 Graz, Austria", Tramways & Urban Transit, Aug. 2013 (76: 908), p.340-343.